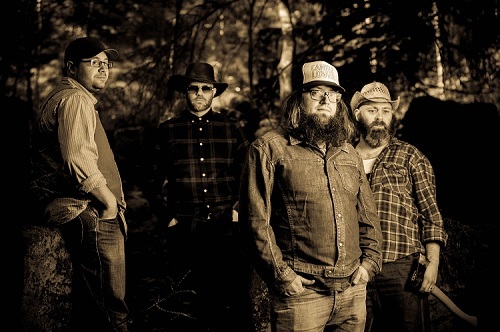 On Saturday August 25th, WagonWheel Presents… welcomes Sheffield’s own The Fargo Railroad Co. back to The Greystones for what promises to be another electric headline show. Joining them will be The Swells, a brand new band from Manchester featuring former members of Walton Hesse, and Leeds singer/songwriter Benjamin William Pike. Advance tickets priced at £6 are available from http://www.wegottickets.com/event/438413 and the venue (12-6pm), or entry on the night will be £8. Doors open 7.45pm. They released their debut album, live recording Sharing The Load, in early 2015 and had a busy summer of festival appearances. They rounded off 2015 with a sold out second birthday show and a live acoustic EP, before the end of 2016 saw them release their first full length studio album This One’s For You in front of another sell out crowd. 2017 saw them play both Maverick and SummerTyne festivals as well as a host of other dates around the country. The Swells are a brand new Manchester band featuring former Walton Hesse frontman Matt Grayson. After the demise of his former outfit and a handful of solo shows, The Swells were born and bring a familiar Americana/psychedelic rock sound. The debut album is currently in the works. Benjamin William Pike is a critically acclaimed acoustic roots musician from Leeds, West Yorkshire. A virtuoso guitarist, adept at playing steel string, lap slide and pedal steel, Benjamin explores folk, alt. country, blues and beyond. His debut album – ‘Being & Nothingness’ was highly praised for it’s originality and unique musicianship and became one of Folk Radio’s albums of the year in 2013. Benjamin has played across the UK, Europe, the U.S. and Canada and has been invited to open for such luminaries as The Felice Brothers, C.W.Stoneking, Nell Bryden, Martha Tilston, The Low Anthem, Old Crow Medicine Show, Kelly Joe Phelps and ‘Cactus’ Jim Soldi (Johnny Cash’s guitarist). 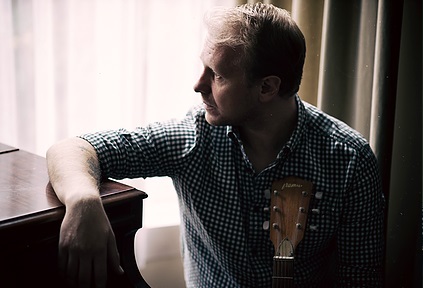 The 2017 album – ‘A Burdensome Year’ has been picked again for album of the month by Folk Radio and has been featured in The Independent by legendary rock critic Andy Gill as well as receiving overwhelmingly positive reviews from national folk and roots publications including Songlines Magazine, R2 magazine and fRoots magazine. On the strength of ‘A Burdensome Year’ Benjamin was also asked to perform live sessions for BBC Radio 2, BBC Radio London & BBC Radio Leeds.